NORMAN - The No. 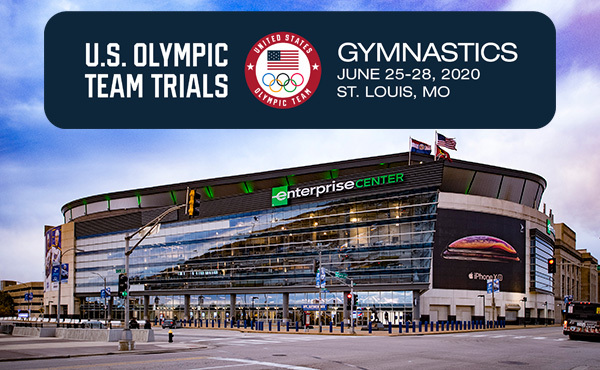 1 Oklahoma women’s gymnastics team put up yet another score of 198-plus to top North Carolina 198.150-195.750 at Lloyd Noble Center Sunday afternoon. SALT LAKE CITY — On a night where very little came easy, the No. 2 Utes nonetheless cruised past visiting No. 17 Arizona State, 197.075-195.400, before 15,207 fans in the Huntsman Center. COLUMBIA, Mo. – The No. 24 Missouri gymnastics team tallied a season-high team score as the squad fell to No. 3 LSU, 197.150-196.375 Friday night at the Hearnes Center. BERKELEY – A program-record balance beam rotation, the second-highest vault score in school history and a perfect 24-for-24 outing charged California women's gymnastics to its third-highest total in school history Saturday afternoon in Haas Pavilion. GAINESVILLE, Fla. – No. 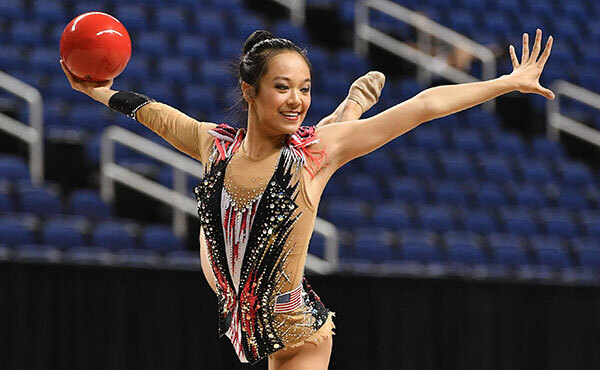 5 Florida gymnastics used the nation's fifth-highest total of 2018 for a 197.85 – 197.075 win over No. 9 Alabama. LEXINGTON, Ky. – The No. 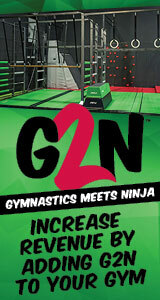 6 Kentucky (5-3, 2-3 SEC) gymnastics team fell to No. 13 Georgia (3-3, 3-3 SEC), 196.150 – 195.550, inside Memorial Coliseum on Friday night. ANN ARBOR, Mich. -- There is something about the University of Michigan's Flip for Chip meets that bring the best out of the women's gymnastics team as they scored a 197.250 on Saturday (Feb. 10) to earn a win over Michigan State. IOWA CITY, Iowa -- In front of a program-record 3,502 Hawkeye faithful, the University of Iowa women's gymnastics team fell to No. 8 Nebraska, 195.675-194.900, at Carver-Hawkeye Arena on Saturday afternoon. FAYETTEVILLE, Ark. 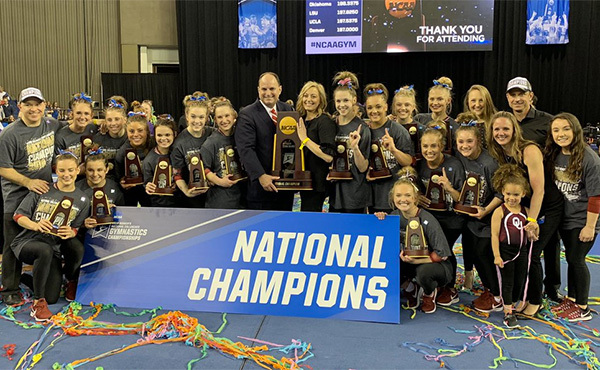 – Five Razorbacks took seven event titles, including four on bars, as the 10th-ranked Arkansas gymnastics team eased past the 15th-ranked Auburn tigers 196.750-194.875 Friday night inside Barnhill Arena. SEATTLE - The 16th-ranked Washington Huskies upset No. 11 Oregon State 197.000-196.500 Saturday afternoon in Alaska Airlines Arena. DENVER - The No. 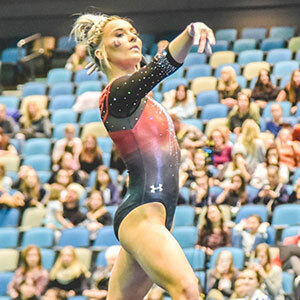 12-ranked University of Denver gymnastics team earned a 196.725 to win in front of a sold-out crowd in Hamilton Gymnasium on Saturday. Denver topped visiting No. 21 George Washington (195.950) and West Virginia (194.925). SAN JOSE, Calif.-- The San Jose State women's gymnastics team scored a season-best 194.500 Friday night in a tri-meet at The Event Center. Boise State won the meet with a 196.400, followed by Iowa State at 195.725. DENTON, Texas (Feb. 11, 2018) - Texas Woman's University gymnastics recorded a season-high score of 195.200 while performing 2018 team bests on vault, bars, and floor in a quad meet with No. 15 Auburn, NC State and Pitt Sunday afternoon inside Kitty Magee Arena. MINNEAPOLIS - The No. 18 University of Minnesota women's gymnastics team notched their third B1G victory Friday night, beating Illinois 196.100 to 195.100. NORMAL, Ill. – Illinois State and Central Michigan met for the second time this season and for the Redbirds, the result was much different as they posted a season-high team score of 192.025 in hard-fought defeat at the hands of the Chippewas (194.525) Friday night at Horton Field House. TUCSON, Ariz. – The No. 25 Arizona Wildcats defeated the No. 20 Stanford Cardinals by 195.725 to 195.025 for their first win of the 2018 season. NORMAN — The Sooners did it again. For the second straight week the nation’s top-ranked team registered the highest score in the country in a 418.850-402.850 win over No. 10 Iowa on Saturday night inside McCasland Field House. 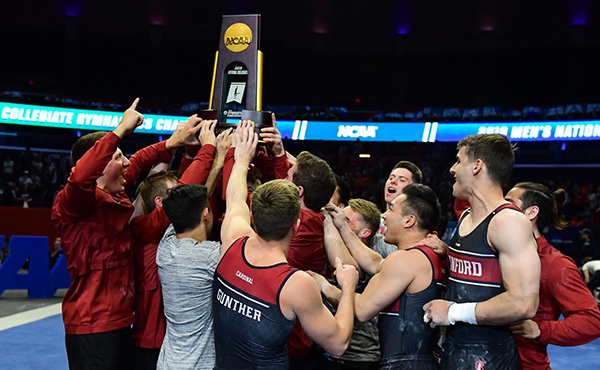 STANFORD, Calif. – Event titles by Connor Lewis, Blake Sun and Joey Ringer as well as a return to action by Drew Burton highlighted the night Saturday as the No. 2 Cardinal scored a 403.600 to top No. 12 Cal, No. 13 ASU and No. 15 Washington in the annual Pac-12 Invitational. LINCOLN, Neb. – The No. 3 Nebraska men’s gymnastics team topped UIC 409.350 – 372.250 in front of a sea of pink at the Bob Devaney Sports Center in honor of breast cancer awareness. MINNEAPOLIS - The No. 6 University of Minnesota Gophers knocked off the No. 5 University of Illinois Fighting Illini 408.00-406.450 in a meet that literally came down to the very last score. 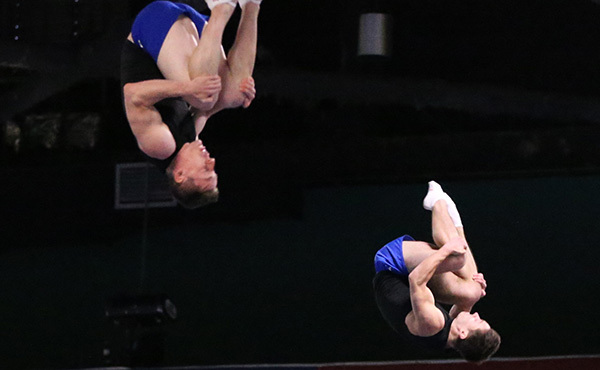 COLUMBUS, Ohio – The 8th-ranked Ohio State men’s gymnastics team registered its best score of 2018, a 414.900, and won four of six event titles on Friday night at St. John Arena against No. 7 Penn State. 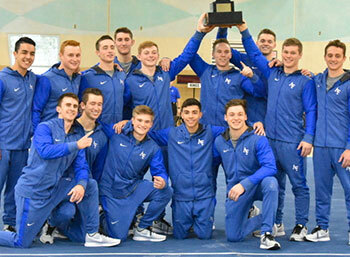 SAN ANTONIO, Texas – The 11th-ranked Air Force men’s gymnastics team captured its eighth consecutive team title at the All-Academy Championships this afternoon (Feb. 10) in San Antonio, as it registered a season-high score of 403.850 to easily defeat service academy rivals from No. 9 Navy (400.200) and No. 14 Army West Point (399.550). MEQUON, Wis. – The Concordia University Wisconsin Acrobatics and Tumbling team took on the best of the best Saturday night when it welcomed Baylor University to the R. John Buuck Field House. 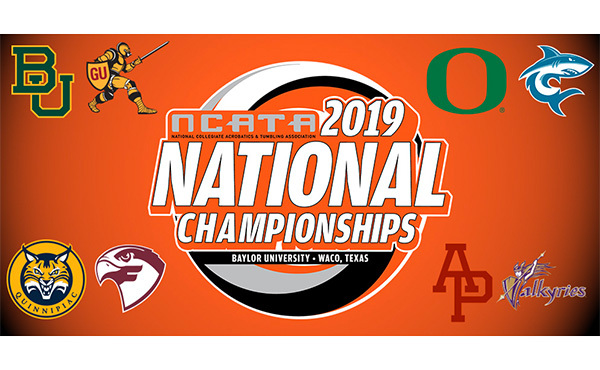 MEQUON, Wis. – It was a difficult challenge on Monday night for Concordia Wisconsin, who faced the NCATA national runner-up last season in Oregon and dropped a 267.890 – 225.305 meet inside the R. John Buuck Field House. EUGENE, Ore. – The Oregon acrobatics and tumbling team shined in their home opener, defeating Hawai'i Pacific, 280.100-267.595, Friday night in front of 796 fans at Matthew Knight Arena. 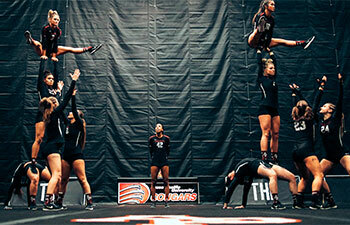 AZUSA, Calif. -- Azusa Pacific posted its highest score (282.075) in a season-opening meet in its entire eight-year history as a National Collegiate Acrobatics & Tumbling Association founding program, winning 16 of 20 heats to run away with a double-digit victory over NCAA Division II rival Hawai'i Pacific, which scored 270.670 points Tuesday night at the Felix Event Center. BRISTOL, Tenn. – The King University acrobatics & tumbling team opened the season with home meet against Converse College. The meet was close in the first half, but the Valkyries pulled away in the second half to take the win 261.805-248.720. ELKINS – The Davis & Elkins College Acrobatics & Tumbling team fell to West Virginia Wesleyan in the Senators season opener and first ever official meet Monday evening, falling to the Bobcats 238.090-128.450. WEST LIBERTY, W.Va. – West Liberty University acrobatics & tumbling head coach Treasure Fields saw plenty of bright spots in her team's program opener against West Virginia Wesleyan Sunday afternoon in the ASRC.